Happiness Expert and author of the award-winning book HOW TO GET ANYTHING YOU WANT – JUST LIKE THAT! ~~ Why the movie YES MAN is a brilliant example of how to find your hidden talents. ~~ How to discover your hidden talents and make your life more meaningful. 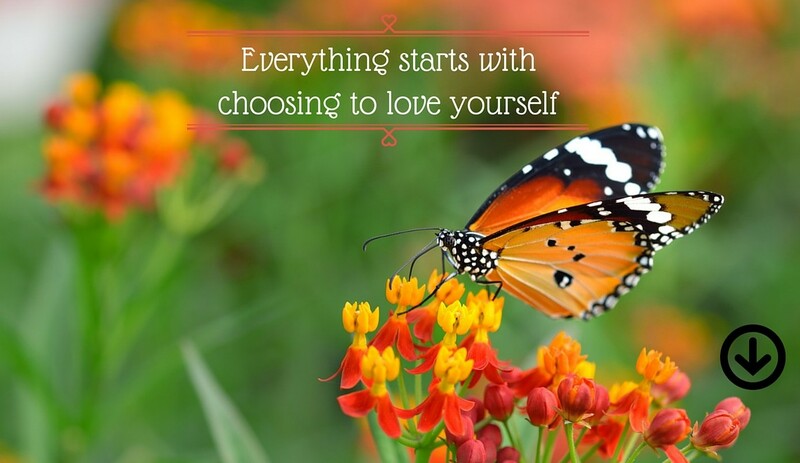 ~~ What to do if you’re really stumped for what it is you love. ~~ How to become alert for new opportunities when they appear. ~~ Why it’s important to try new and fun experiences. ~~ When you allow yourself to shine, others shine brighter too. 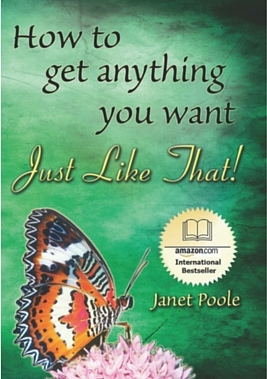 ~~ Janet’s childhood challenges and why she doesn’t believe in luck and fate. 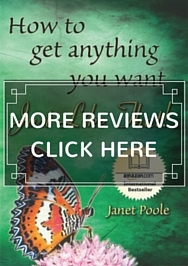 ~~ What readers are enjoying about the book HOW TO GET ANYTHING YOU WANT – JUST LIKE THAT! What makes it different to other personal growth books out there. 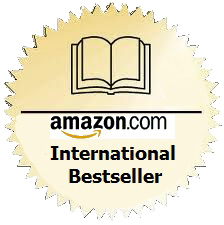 ~~ The main life-changing message of the book HOW TO GET ANYTHING YOU WANT – JUST LIKE THAT! Janet says an extraordinary person is not someone else… IT’S YOU! 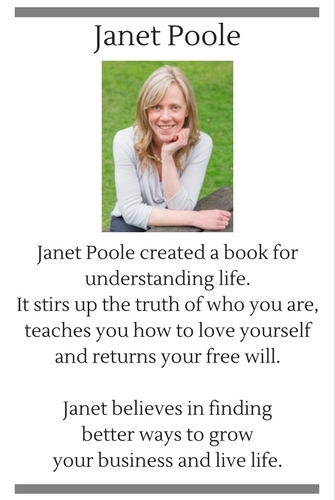 Find out why by downloading 3 FREE chapters of her book now. A huge part of disputes is how much you unwittingly let others control you. You can take back control by doing one thing instead; something we’ll get to in a minute. And you’ll find one of the essentials to a happy life also pops up again. Do these and life kicks along nicely. But first it’s important to know what you may inadvertently be doing now, to let others control you. What I tell you today is not widely known, and if known is not applied – at least I don’t see many people applying it. The good news is once the light is turned on, it stays on and you are forever more empowered. Our aim today is to put you in charge of every situation, so you not only use disputes as an asset, but also move on from them. We want to give you freedom and have all your power under your control. You become a magnetic personality others love to be around! Coming Through Family Disputes Peacefully and More Empowered. Part 1 – Family Disputes: Tips to Laugh More, Cry Less. Get more clarity from today’s article by first reading part 1 above. It may surprise you, but if you answer YES to any of these, YOU ARE letting other people control you. Proving others wrong is a powerless tactic. It feels good, but gives the other person your power; that’s not our aim. If you want a happy life, the best thing (not necessarily the easiest!) is leave the other person out of it. What you’ll notice about those four questions above – they all start with “Do I”. That’s because the dispute is all about you. That’s a great thing : -) and I’ll tell you why. If you’ve read Just Like That! you’ll already know this and why, but a reminder never hurts. So, why does trying to prove the other person wrong give them your power? By saying they caused an issue in your life, you’re choosing to be powerless and give them the power to influence your life. Remember, you can choose to feel powerless – and of course then you are. Your thought decides your life. You have free will to give that power away and be a victim to others. BUT. Even though you’ve handed them your power, you’re still creating everything that happens in your life. It’s just that you’re creating situations where you are powerless. Today our goal is to return your power to you – through knowledge. A powerful strategy is to take responsibility for the dispute. Taking responsibility means you accept you created the dispute. … rather than being reactive and dependent on others. You are taking control and choosing your future. Quantum physics proves what you think creates what you have in your life. And if you create your life, it’s absolute. It doesn’t only apply to some things and not others, it’s everything. This may seem impossible right now, but knowledge points the way – makes it fun in fact. This knowledge is already available to you, but it is your job to find, read and apply it. Do that and your life becomes *magical*. As mentioned in Part 1 – Family Disputes: Tips to Laugh More, Cry Less a dispute gives us an emotional “hit” like a drug. It is addictive. A common emotion is BLAME. Because blame feels deliciously sweet, you actually feel “good” for a moment. This is due to a chemical rush, again like a drug. You feel absolved of the situation and it’s a chance to complain and have others feel sorry for you. Blaming others means you let them control you. Think about it – when you blame it’s because the person angered or disappointed you – in other words made you angry or sad. This also means they decide whether you feel happy or sad. You’re at their mercy. If they’re nice to you, you’re happy. If they’re nasty you have a bad day. Personally I’d rather choose happiness – on my terms, regardless of those around me. … how can you blame someone else for your situation or how you feel? When you’re locked up in a cycle of blame, it is almost impossible for you to focus on and experience joy – you are effectively in a self-created prison. When you focus on retaliation or revenge, retaliation becomes your life so you create more of it. Life becomes harder as even more people retaliate upon you. You created this and you can change this. In a bizarre way, sadness and self-pity are also addictive emotions that feel “good”. But the good feeling quickly disappears, and you’re soon hunting for another hit. On the other side of this are fun, laughter and getting along with everyone – on your own terms. That can be you when you say, “YES, I want that”. The lesson is: blame no-one, not even you. Let the situation merely be a learning opportunity for you: not good and not bad. Often we’re unaware of our thoughts. If your life is the result of what you think, it means you can use every situation to learn how you’re thinking, and therefore change your thoughts to create what you want. More help coming your way: Part 3 – 7 Easy Ways to Use the Dispute to Get What You Want – posted soon, helps you discover the meaning behind disputes and how they can help you find real happiness. You can get Chapter 3 WHATEVER YOU THINK IS TRUE from my book – part of the 3 chapter FREE download – it’s a powerful chapter about how thought works, plus it has an easy exercise to help you: HOW TO CONSCIOUSLY CHOOSE THOUGHTS. Even if the other person is attacking you, dig a little deeper and you’ll find you want them to change and behave a certain way. But here’s the catch. By trying to control someone, you become the one controlled. 6 empowering things you ought to know about disputes. We’ll shift the power from the other person to you and possibly even see the brighter side. We all know disputes are a touchy subject and the truth is hard to hear. Be open to hear it and you’ll find more reasons to laugh at life. Everything in this article empowers YOU. Note: This information also applies to disputes outside the family. Most disputes are not life-threatening, but in cases of physical abuse or threats, never take it lightly. Act to stop it. Still use this information to empower yourself and avoid it in the future. Like I said, the truth is hard to hear; don’t let that deter you. Most people relish a dispute yet deny it because they’re unaware they’re enjoying it. You’re not alone. Why do you enjoy a dispute? The emotions arising from a dispute act like a drug. Weird maybe, but emotions are really chemicals, like drugs. We’re addicted to and take pleasure in the “hit” from the emotion. What emotions give you a “hit”? Deep down all this feels delicious. BUT, bitterness, revenge and injustice hurt YOU. They don’t strengthen, they weaken you. And you don’t get what you want. They create diseases and put your life on hold. Contemplate this. If you stay with me, you’re already on track to greater empowerment. One of your main purposes on Earth is to evolve, to rise above all those heavy emotions in point #1. What’s one of the best ways to evolve? Through relationships. They actually help you evolve – if you let them. We teach each other. Why would you want to evolve? That idea may drive you nuts. But that’s the truth again – hard to hear. It’s common to dislike the person who is your teacher, however your teacher may be your very loving partner too : -) Anyone who is bothering you is your teacher – even your child. Start seeing this person only as a teacher, someone acting without malice – regardless of how it seems. See them as giving you a gift. Even if you can’t see it now, disputes often create ways to bring us closer together – closer than ever before. Imagine one day being thankful for the dispute. Now we’re talking. Keep in mind, only a strong person can resolve a dispute. As you keep reading and gathering knowledge, you’re choosing to be a strong, wise person.